Modern-day outdoor photographers go to great lengths to get the shot. Between the remote locales, the sometimes-troublesome permitting, and potentially fickicky weather and light conditions, it can be a rough (but thrilling) medium. But all things considered, they have a lot going for them. Between the relative ease of getting around (hello, air travel) and the many, many choices in post-production and photo-editing software, today’s nature photographers have a big leg up over their forefathers, who packed heavy equipment up rugged mountain trails. Which isn’t to say that technology has made outdoor photography easy — photographers still have to go on location, wake up at unconscionable hours, and brave all kinds of intense conditions to do their job — but a look back at what kinds of images old-school nature photographers captured with just a sturdy pair of boots and a film camera is a good reminder of how much things change. And, when looking through these sweeping landscapes, how much nature has remained a beautiful subject, worthy of the hard work it takes to capture it. Let’s start with a properly old photo. 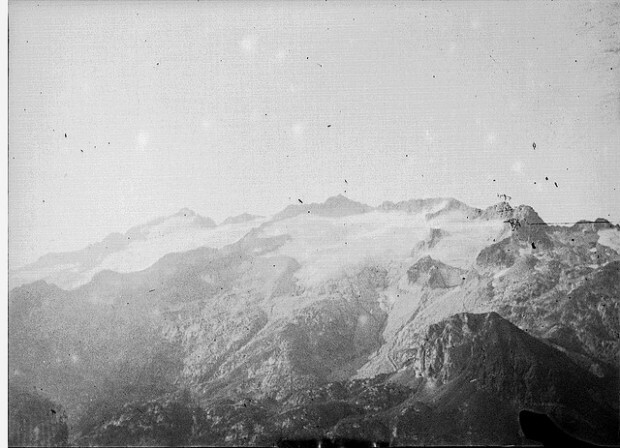 This image, taken in Bagnères-de-Luchon, in the Southwest of France, is dated September 6, 1898. It comes from the Toulouse Library, and the author appears to be unknown. Luchon is largely now considered a “spa town,” but due to its gorgeous landscape, remains a destination for outdoor photographers. Here’s another old one, but this one is from Washington State. 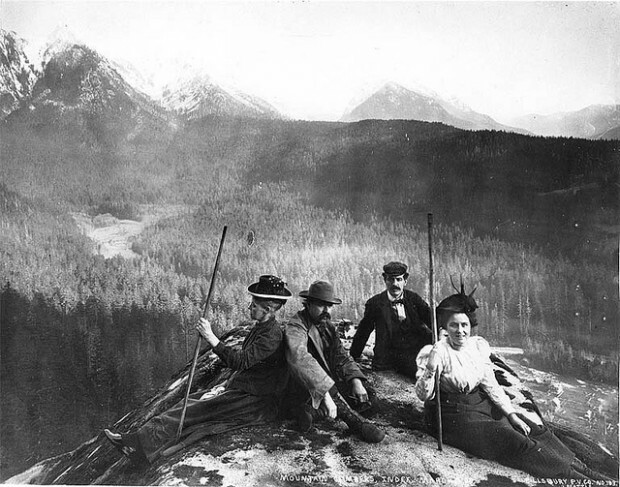 The photo, provided by the UW archive, was taken by photographer and inventor A.C. Pillsbury, who spent his life coming up with innovations which would make the lives and work of his fellow photographers more easy and efficient. 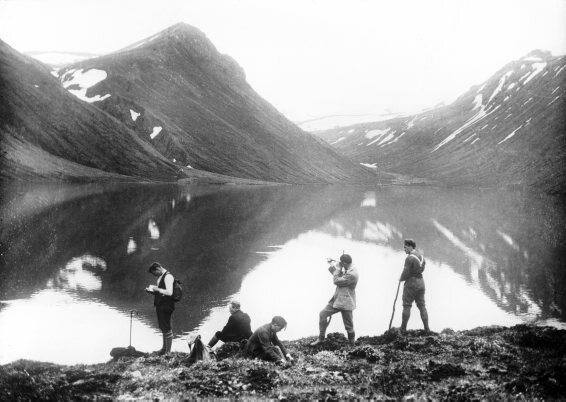 This image, from the Reykjavik Museum of Photography, is by another photography pioneer, Magnús Ólafsson. Ólafsson was not a strictly outdoor photographer — he often shot lifestyle and everyday photos around Iceland — but he did spend a lot of time documenting the beautiful countryside. In addition to capturing the beauty of nature, outdoor photography has traditionally been practiced for another purpose: Conservation. 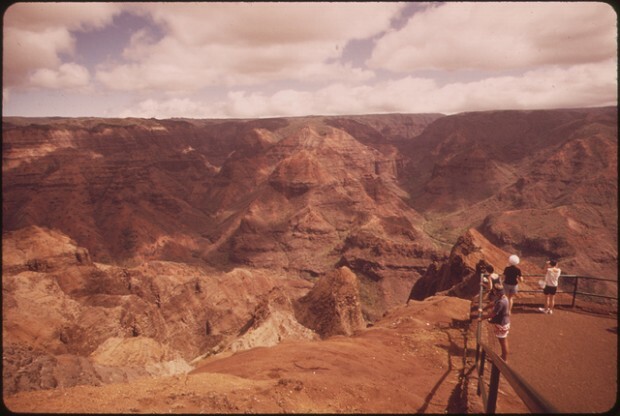 This image was commissioned by the EPA in 1973 as a way of documenting the various natural landscapes of the United States in the hope of preserving them. The photo shows tourists at the Waimea Canyon in Hawaii. 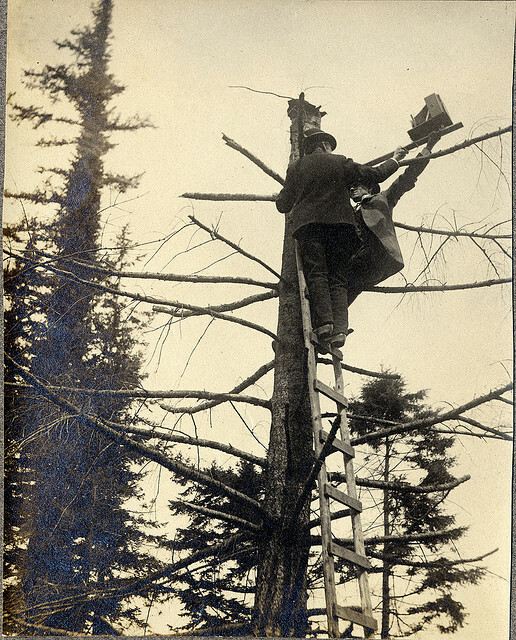 Sometimes, photographers had to meet their subjects on their level, as in this picture from Oregon State University of photography William L. Finley climbing to get a shot of a bird for his 1908 book, “American Birds”. Though he primarily shot in Oregon and California, Finley also went on multiple photographic expeditions to locations including the Gulf of Mexico, the Bearing Sea, and around North America’s mountain ranges. 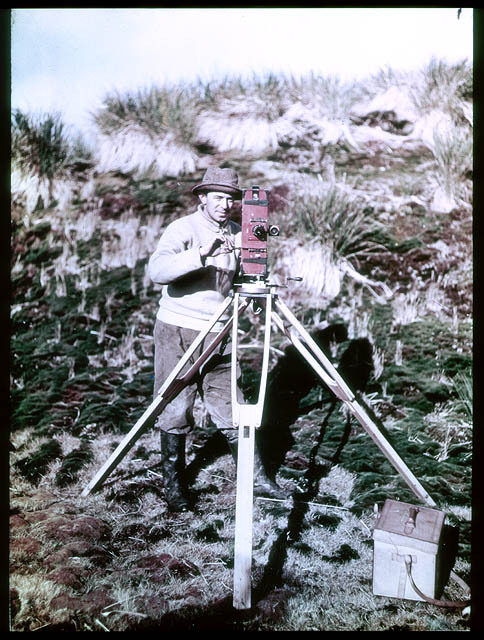 Finley’s career was defined by his wildlife photography and conservation work. To this day, the William L. Finley National Wildlife Refuge in Oregon’s Willamette Valley bears his name. 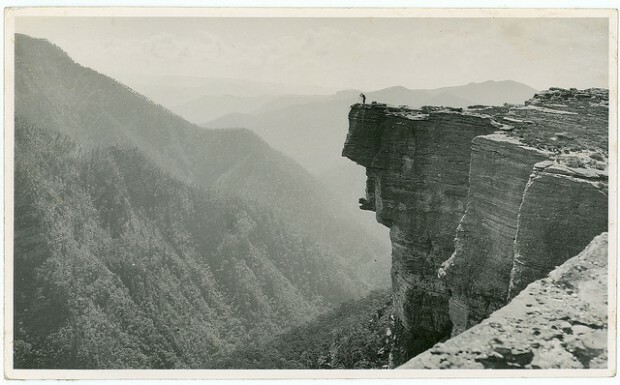 Little is known about this dramatic image via the State Library of NSW, other than that it was taken at Kanangra Walls, Oberon, Australia. Who do you think the photographer is, who boldly perched on this bluff to take the image? And where do you think that image showed up? 1.) Cool hat. 2.) This is what action photography looked like in 1948. 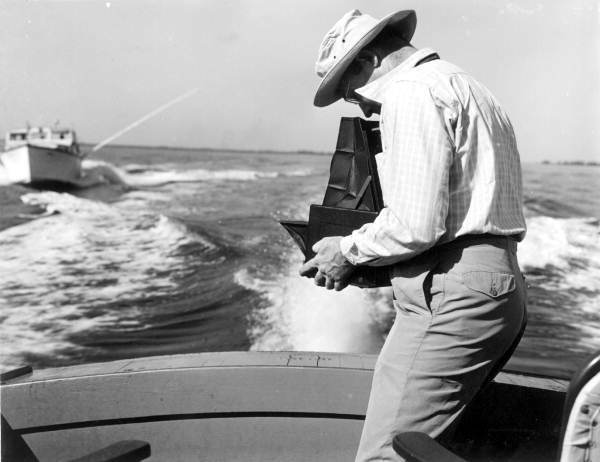 Florida Memory provides this photo of Howe Sadler, a director and photographer for the Florida News & Photo Service. He was documenting salt fishing. Frank Hurley was a true outdoor photographer, traveling to Antarctica a half-dozen times in the early 1900s. Hurley captured dramatic images both of landscape and wildlife, taking photos of penguins and other fauna from the remote reaches, which many viewers back home in Australia had never seen before. He also photographed the people living there. “His internationally renowned images of the Antarctic show the flavour of the continent: his pictures of human life in the far south are now beautiful reminders of a past age – his shots of Antarctica and its wildlife are as vivid and real as a visit to the ice lands now,” writes the State Library. This image, taken of Hurley, is dated 1915. 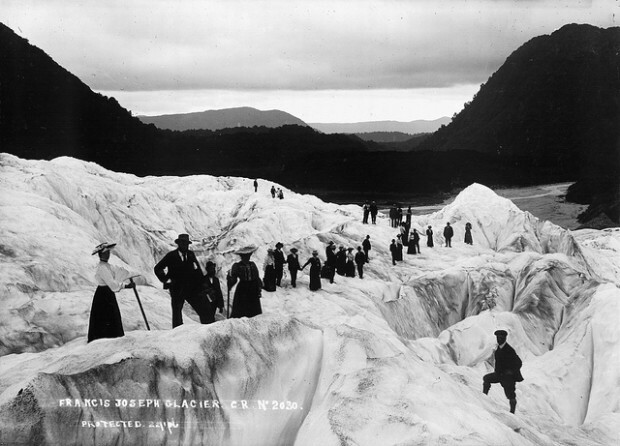 The National Library of New Zealand provides this image of Richard John Seddon, the longest serving Prime Minister of New Zealand, and his party on a trip to the Francis Joseph Glacier in 1906. The photo was taken by James Ring, who made much of his living by going on photographic explorations, and then producing cards of beautiful natural landscapes which he marketed as Christmas cards.